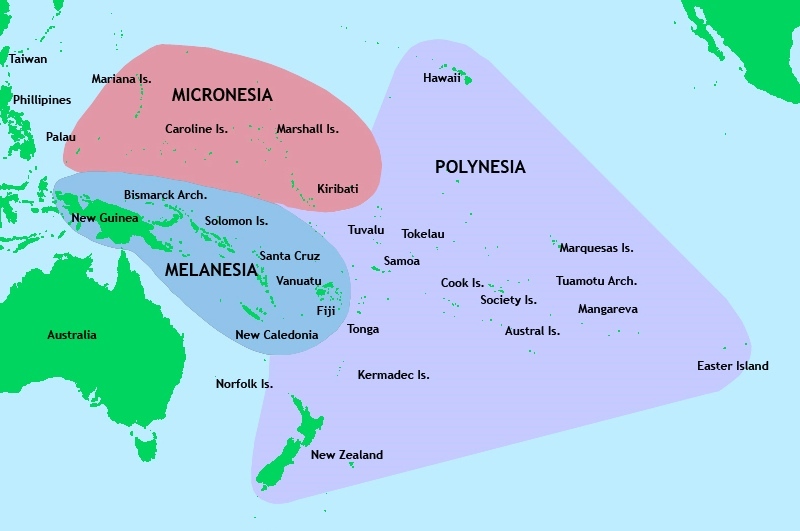 South Pacific: What’s in a name? Why are the Cook Islands called the Cook Islands? If New Zealand is new, where is Old Zealand? Every place has a story, and so does every name! Do you know where Aotearoa is? I’ll give you a hint… the biggest city is Auckland and The Lord of the Rings was filmed there! Aotearoa is the Maori name for New Zealand. It means “land of the long white cloud.” This island country was occupied by Dutch settlers for a long time, who named it after a province back in the Netherlands called Zeeland. Australia means “southern land” in Latin. It officially applied to the settler colonial state in 1824. As far as names go, this one makes sense for the largest continent is the southern hemisphere! The Cook Islands are a group of islands between French Polynesia and American Samoa. They were first mapped by a man named Captain James Cook. I bet you can guess where the name came from! Fiji is named after the main island, called Viti Levu. This country was occupied by Great Britain for over a hundred years, so they were the ones that gave it the name we know today. Fiji, in Fijian, is Viti! Hawaiii became part of the United States in 1898. Before that, there was a kingdom that ruled all the islands for hundreds of years. The name Hawaiii comes from the indigenous word for “homeland.” It exists as a word in other Polynesian languages, including Māori (Hawaiki), Rarotongan (ʻAvaiki), and Samoan (Savaiʻi). Rapa Nui is the Polynesian language spoken on the island of Rapa Nui, the most remote inhabited island in the world. The first European to visit the island was a Dutch man, who called it Easter Island, because he landed on Easter Sunday in 1722. Tahiti means “little island” in an indigenous Polynesia language from the area. People have lived on Tahiti for thousands of years, and it has a highly developed chieftan-based political system. Sometimes it seems like the name of a place is just its name, but it’s often more complicated than that. Learning about a name is an interesting way to learn about its history, too!